What are the pros and cons of playing at an online casino compared to a real world bricks and mortar casino? 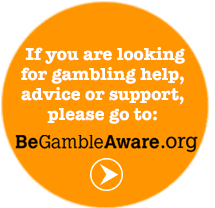 Are you a fan of your local casino thinking about trying out an online casino? Or an online casino pro considering a trip out into the real world? If you’ve played at one type of casino but not the other and want to compare them, we’ve got the info you need. We’ve looked at the key factors that make playing casino games fun and compared how these work at a bricks and mortar casino with the online equivalent. Personally, we love both types of casino action and they both have their place. However, if you aren’t sure about trying one or the other option, this comparison is the perfect aid to helping you make up your mind. Is it time to don your glad rags and head to Vegas or crack out your favourite dressing gown and a nice cup of tea? We’re going to break this comparison down into a few key areas. In no order of importance these are: the experience, convenience, expense, bonuses and game choice. This is our opinion, not the gospel according to St. Casinothius. If you disagree, let us know! We’ll let you into a secret. When it comes to the experience, we’re awarding the win to that scary place called The Real World. 1-0, bricks and mortar casinos, well done you. The thing is, your local casino probably isn’t the MGM. Unless you live in Vegas, on the strip. It probably isn’t quite like Atlantic City but even casinos in places like Blackpool and Southend (and everywhere in between) have at least a modicum of glamour. OK, maybe not glamour, maybe you won’t feel like James Bond in Monte Carlo (or Macau, or any of the other glitzy casinos at which Bond has fleeced the bad guy, won a fortune and gone home with the girl!) but there is undoubtedly a sense of occasion. These days your average UK casino is a lot more relaxed than the traditional stereotype of men in tuxedos. That has somewhat reduced the glamour and sophistication but it has also made real world casinos a whole lot more accessible and easier to visit. That said, a night out to the casino remains a fun and exciting thing to do and is an event to look forward to. Going with friends makes it a sociable experience and even the shabbiest of casinos will usually have some form of non-gambling entertainment. OK, you might not get Britney Spears or Cirque du Soleil but you’ll get a bar or three, a restaurant or two, live televised sport and sometimes live music, comedy or a show. Compare that to being sat at home in your pants with a can of lager and there is clearly only one winner. Ok, if there is only one winner when it comes to the experience, the same is true of convenience. And the tables are turned, with online casino action the clear and undeniable winner. 1-1, game on! So, there you are, on the couch, in your pants, can of lager in hand. Kind of easy isn’t it? You might even argue it’s more convenient than getting dressed, getting a bus (or taxi if you’re expecting to win) into town and then walking home six miles at 3am (when you haven’t won). Convenience is possibly the number one thing in favour of online casinos. With the advent of mobile casinos, the widest choice of casinos and games is pretty much in your pocket – or your hand – at all times. Whether you decide to play on your laptop, tablet or computer, brilliant online casino games are never more than a few clicks away. What’s more, you can play on the toilet (weird but definitely possible), on the bus (on the way to the casino if you want), at work (on the toilet if your boss is like ours), in a bar … or just about anywhere. With most phone details including plenty of data and the wide availability of Wi-Fi, playing online casino games is pretty much as convenient and easy as humanly possible. OK, so, you’re sat there, in your pants (please tell me this isn’t just me? ), on the couch, can of lager in hand. How much was that can of lager? A quid? Two quid? Did you splash out on an 8% IPA and spend three whole quid on your beer? Taxi to the couch, how much was that? Oh, nada you say? Free, you just walked. Ooh, that’s convenient. And cheap. Is the food cheap too? Free you say? Oooh, that is cheap. Sorry you real worlders, when it comes to expense, once again it’s a big win for the online casinos of the galaxy. Yes, you need a house, yes you need an internet-accessing device, yes you need the internet. OK, that house might cost you £250,000 (or £250m in London). Throw in another grand for the computer and £20 per month for high-speed broadband. That’s quite a lot of cash. But it doesn’t count because you already have them. Result! 2-1 to cyberspace. Do you remember cyberspace? Ask your Dad if not. We love bonuses, we ain’t gonna lie. If all this talk of casinos has got you itching for a game or two of blackjack then why not check out all of our casino welcome bonuses and offers? Whilst it’s true that the bricks and mortar casinos have been known to throw around the odd freebie, in general they don’t. Yes, if you’re a high roller you might get a night in Britney or Paris, or perhaps some free nachos. But for most of us, no way Jose. Nowadays modern casinos do occasionally have free drinks for customers or the odd free bet token. Most also have some form of loyalty scheme where you can earn points for gaming and food and drink purchases. However, all of these lag behind the amazing welcome bonuses offered by the best online casino sites. Just about every online casino, and certainly all of the best ones that we feature, offer new customers a welcome bonus. This is usually worth at least 100% of your initial deposit and wager and sometimes 500% or even more. You might also get free spins thrown in too, whilst most casino sites also have regular offers and promotions for existing customers too. These include things like prize draws, competitions, money back offers and cash giveaways. All of these bonuses and deals will have terms attached to them. Casinos are generous but they don’t just give cash away! For example a bonus is usually a match of your deposit and wagering will be required before you can withdraw any winnings. Competitions will usually – though not always – require you to play a certain game or stake a set value in order to enter. Anyway, back to the issue of online versus offline: it doesn’t take a genius to realise that we’re chalking up another win for online casinos here. OK, it isn’t as one-sided as the other features we’ve looked at but it remains a clear win. Lots of casino fans, like people in general, are creatures of habit. They stick to what they know and what they like. If that’s you then you probably don’t need the biggest range of games in the world. In fact, lots of “serious” casino lovers probably only stick to one single game, be that blackjack, roulette, slots or something else. 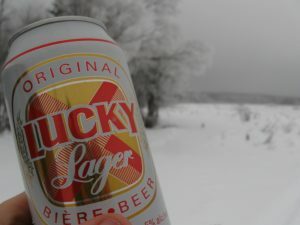 That said, here at CasinoOffers, we’re more in the “variety is the spice of life” camp than the “I know what I like” gang. We have our favourite games but we also believe there is a time and a place for every game. 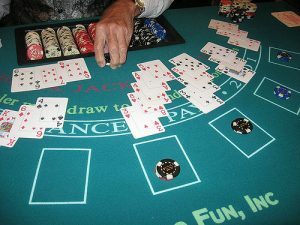 Both online casinos and their real world counterparts tend to have a range of games that will be more than enough for most players. Both types of casino now tend to give up a lot of space, be that of the floor or cyber variety, to slots. You’ll generally find hundreds of different games, including progressive jackpot slots both online and offline. You’ll also get all the classics at both, such as blackjack, roulette, pontoon, 3 card poker and one or two others. In lots of cases both online and bricks and mortar casinos will also facilitate multi-player poker. However, yet again this one is just about in favour of online casinos. Online casinos will almost always have a bingo and poker facility as well. In addition they have instant win games, scratch cards and just a wider range of casino games. 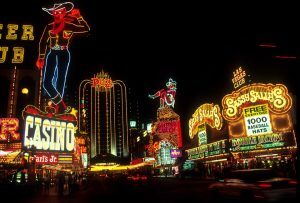 Not all UK casinos offer games such as baccarat, pai gow and craps but most of the best casino sites do. To put it very simply, whilst offline casinos have a great range of games, online just have a few more. There is lots in this article which doesn’t require the intellect of Stephen Hawking (RIP). Which is pretty useful, as most of us aren’t quite that clever. So, even the non-geniuses among you will have realised that, all in all, we think online casinos have the edge. Obviously you might claim that we’re biased and we may be but the truth is that the huge convenience of online casinos, the great welcome bonuses and existing customer offers and the range of games available give the online world the edge. As said, we remain a fan of the odd trip to the local casino and we LOVE Vegas. Both types of fun have their place but this is about awarding prizes. And the winner is. … well, you already figured that bit out!